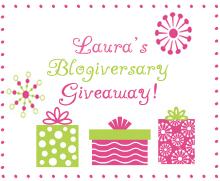 My BFF Laura is having a giveaway!! Go check it out!! If you enter, tell her Leigh sent you!! Thought I'd better do a little post or y'all (all 3 of you!!) would think I'd gotten lost! What have I been doing you might ask! Well, work, soccer and more soccer!! Jake and Jonah are both playing, so we're doing a lot of soccer! And I still don't understand it!!! I do have soccer pictures, but they're on the other camera. So instead I have some pictures of a little beading I have done. The black bracelet was FUN FUN FUN!! I’ll be making more of these in different colors. The coral and turquoise one I made for my mom for her birthday. I got the kit from Melanie Massey (mojoy.blogspot.com). The black one was for mom too. The other one I made for my BFF Laura. She and her family are going to Disney in May to celebrate their daughter’s birthday! I saw this bracelet on one of the websites I shop and had to do one for her in honor of their trip. I also made one for baby girl but haven’t finished it yet. I can’t remember what size to make it! !